My ABSOLUTE, MOST favourite book!!! 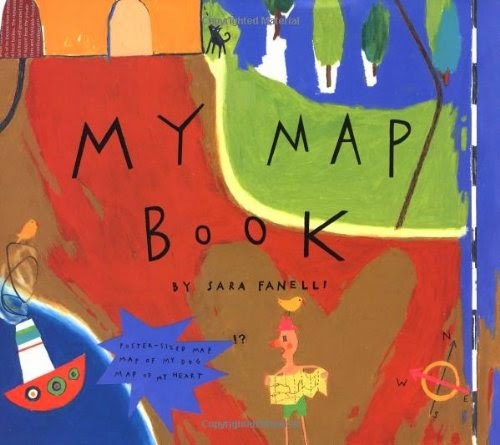 This book came into our lives through a second-hand books sale in the neighbourhood. We laughed a lot reading it at the book stall itself and have laughed again and again after every book reading! My 4 year old, who often does not have the patience to listen to stories till the very end, waits for the twist in the tale at the ending of the story. 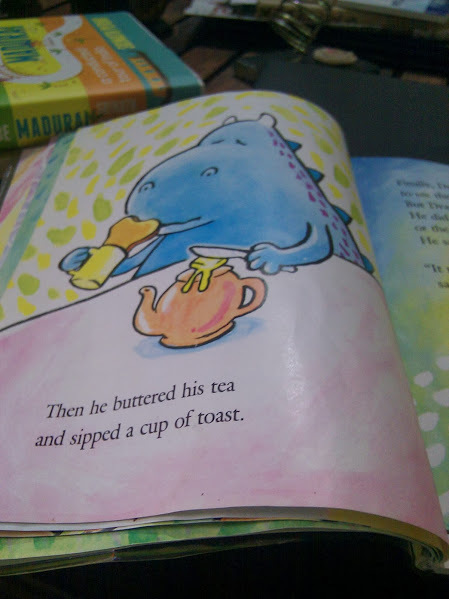 When I read this book out, I use rhyming Hindi words that go with the page illustrations and my 4 year old and I have some great laughs. 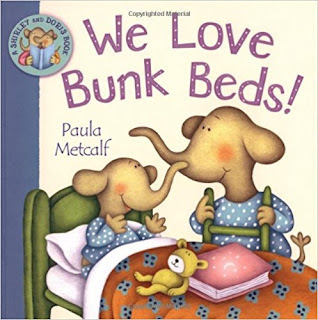 Frustrated with Doris's clingy behaviour , their mom suggests buying a bunk bed so that they at least sleep separately that gets every one excited. All seems to go well till the end and Shirley will finally get to sleep away from Doris but wait... is that what is going to happen? Guaranteed to generate many laughs and squeals at the end , go ahead and seek this book out. 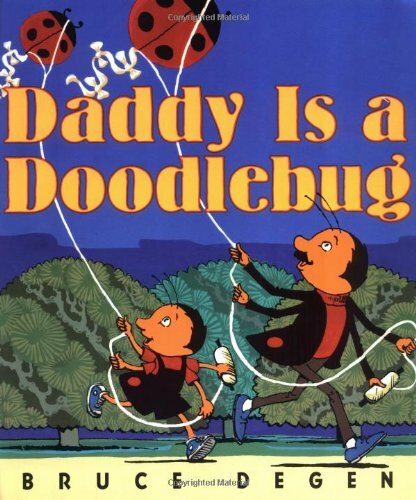 Daddy is a Doodlebug is a fantastic book with a quirky sense of humour highlighting the special bond between a father and a child. Very few books focus on this aspect of parenting- it is either both parents in the story line or often the mother and the child. So when I saw this today in my university's library of children's books , I was delighted! My kids have a stay at home dad around them and they do many activities with him around. This surely was going to resonate with them! While walking through the zoo. And I'm a foodlebug too. And I'm a canoedlebug too. It is the play of words, some pun here and there and vivid bright illustrations with humour hidden in them that make the book very appealing. My 10 year old laughed a lot while my 4 year old looked at it with delight. No wonder, because the author illustrator is Bruce Degen who is popular for his art humour in his Magic School Bus books! Here is a nice short interview of him where he frames humour as his top quality! Now that's my kind of quality . I love to watch kids laugh while reading a book or watching some good appropriate content. So here's a big thumbs up for this book.It is worth having it in your library! 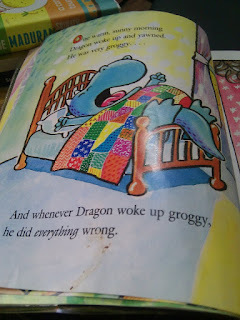 Dragon Gets By is a really nice book for children beginning to read on their own. 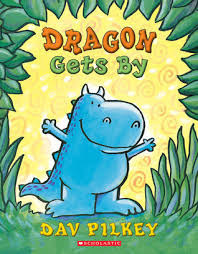 It is a series of books featuring the not at all scary, no fire spewing, gentle dragon who is a bit silly.The first book of this series is "A friend for dragon: Dragon's first tales (1991) ." Apparently this series was also made into a TV series but I haven't seen that. Also, I have a positive bias towards the use of humour in children's books and when kids get the jokes, I so enjoy watching them laugh . Nothing beats being a silly blue dragon and being acknowledged for silly-ness by a toddler! The language is easy to read and as I wrote before pictures do so much of the talking. There are five stories in the book and each one involves the Dragon getting into some sort of a mess. By the end of the book you start liking the Dragon and wanting to know more of his simple, easygoing life. 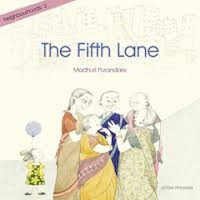 I read the two books in the Fifth lane series by Madhuri Purandare several times in these past few days. First off, I am a huge fan of her work. When I heard about the books I could barely wait to order them from https://jyotsnaprakashan.com/ who are actually my favourite publishers of children's books. 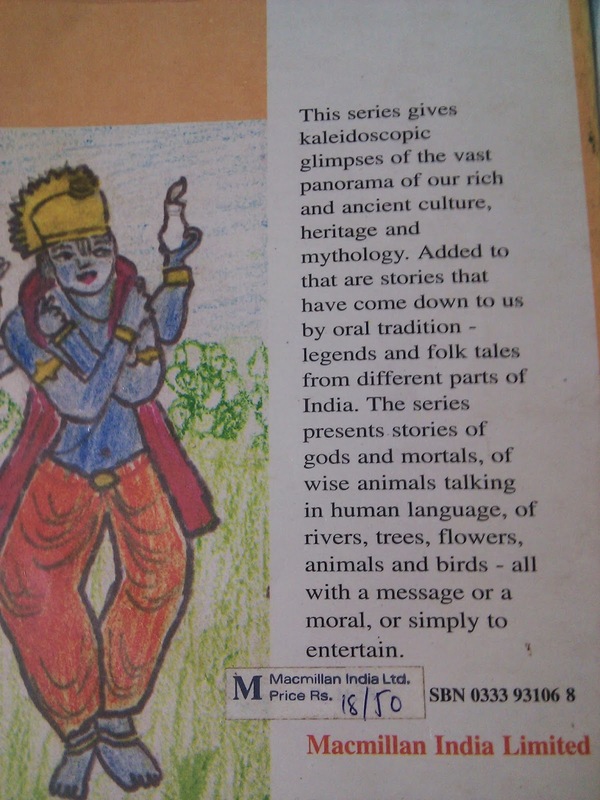 My colleagues had felt the English translation of these Marathi books was not impressive but I disagree. Both the Marathi and the English versions are worth reading. I quickly gave off the English version as a gift because I wanted to make an effort to read Marathi( it is an adopted language for me) and am very happy I did that. But my 9 year old read it in English and really liked the stories too. Do read either in Marathi or in English because they are such tender tales with the most gorgeous of illustrations. I kept wishing I could dress up like some of the characters Madhuri P. has drawn in the books. The books are titled 'Sakkhe Shejari' in Marathi which means true neighbours and Paanchvi Galli or Fifth Lane (The lane in which the building evolved from a bungalow) and it is a set of stories of residents living in an apartment through the eyes of Ketaki, a kid who lives with her single mom . So you get to meet different characters - a single parent, a hearing impaired mother, a stay at home artist dad, a single woman professional - who are all part of our worlds in a children's book. 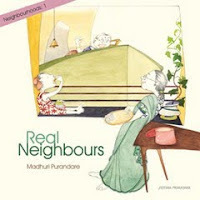 Madhuri P. has managed to bring in a sense of a real community with people who are different - look different/talk different/dress different weaving in these themes effortlessly as Ketaki goes prancing around and observing acutely like only a child can! I revisited the Little Princess series yesterday for our younger one. She is not that into books as her sibling so I had to "trap" her through some lovely videos available on you tube(thankfully) of the T.V series, https://en.wikipedia.org/wiki/Little_Princess_(TV_series), and then we settled into reading some of the titles we had. Man, the three year old got every single humour! Be it the hairstyle of the princess thanks to the crown, the same style of clothes that she keeps choosing from, the tantrum and the open mouth scream, the admiral with a swimming tube, or the twist of the tongue when the princess writes letters. Hats off the the clever illustration that so spoke to a child's mind. Parents- this is a must- explore for your preschoolers if you want to introduce your kids to quirky humour. The main character is everything that you would warn your toddler about- bratty/ loud/rude/ demanding (most of the books start with a "I want..." title) and yet children get it because it features the joys and frustrations of childhood in the most endearing manner and an impish smile! My favourite title is "I want to be"
I like the stories because they explain the why and how of simple rituals practiced in our everyday life. For example, the origin of the practice of knocking on one's head while visiting a temple; or explaining why touching the ears or prostrating before God is common amongst some worshippers. 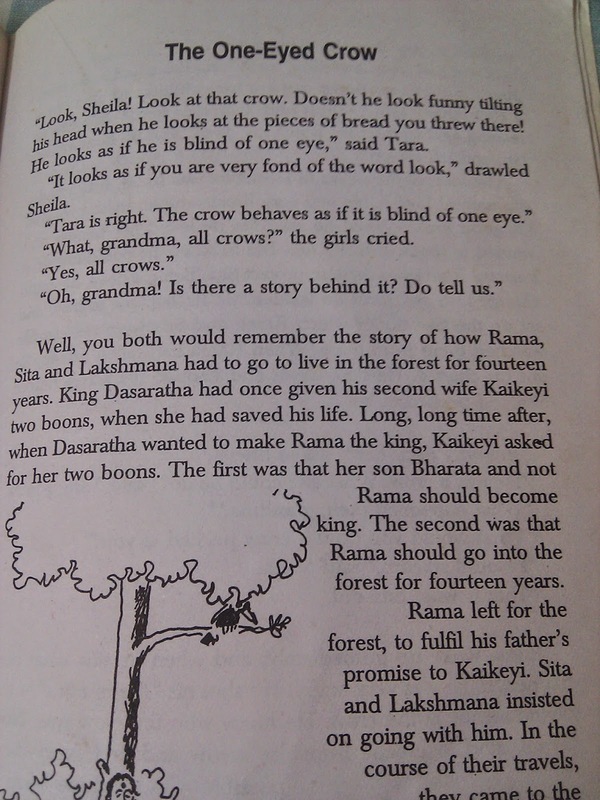 Here is a nice story whose snapshot I attach about the 'One Eyed Crow'. 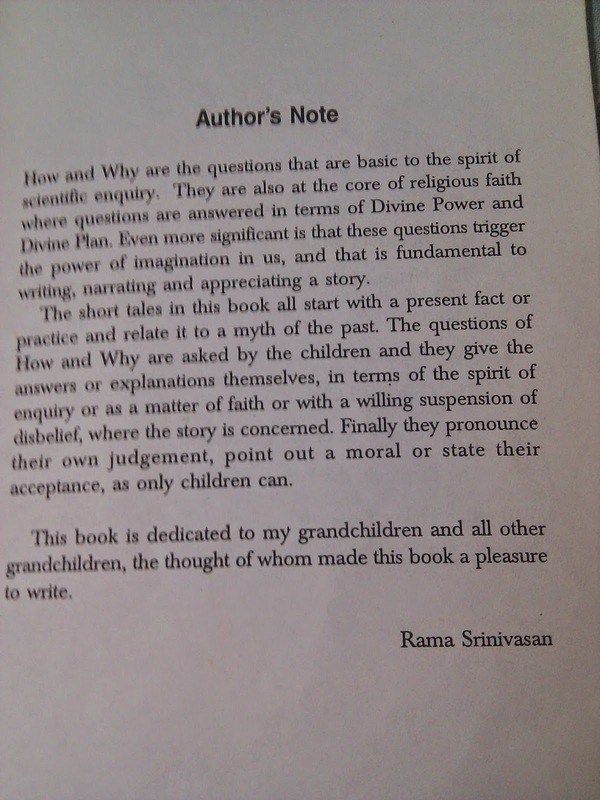 Here is a nice note from the author explaining the origins of her book. 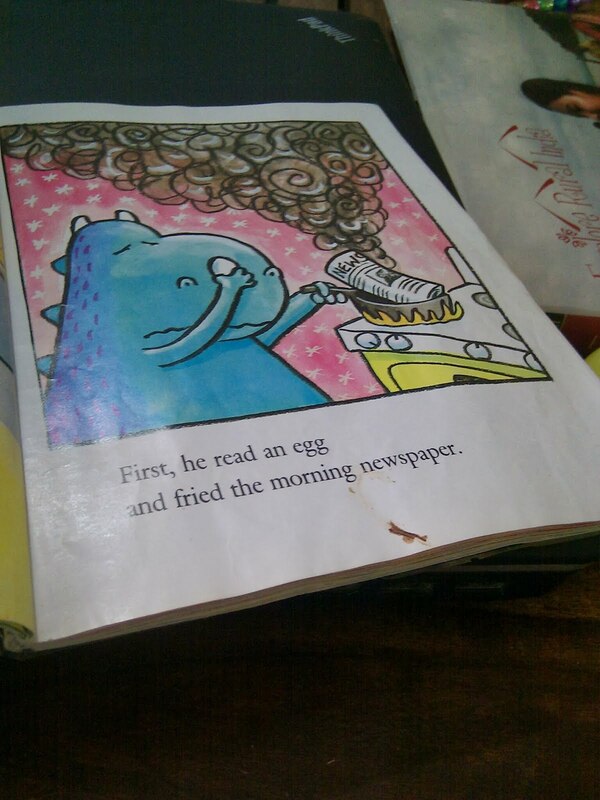 The copy I have is from my daughter's school library. 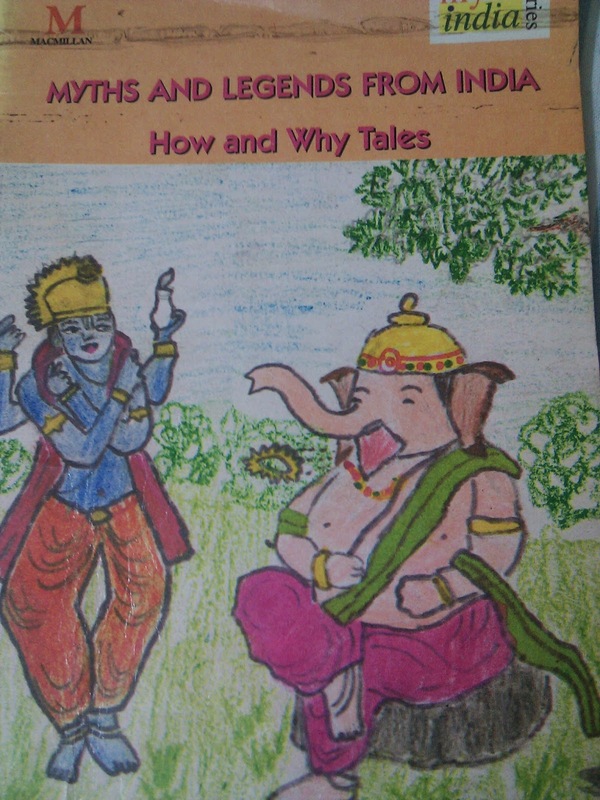 It was published by MacMillan India Limited in 1997 and priced at Rs. 18/- However I find no internet trail and am wondering if it was reproduced. What a pity if it is not. P.s. Sorry about the bad quality pictures on this post- taken from my mobile phone and shaky hand. 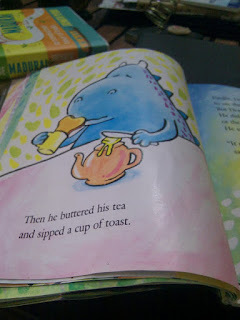 I enjoy reading and discovering fun children's books. This blog is my attempt to share some good finds.